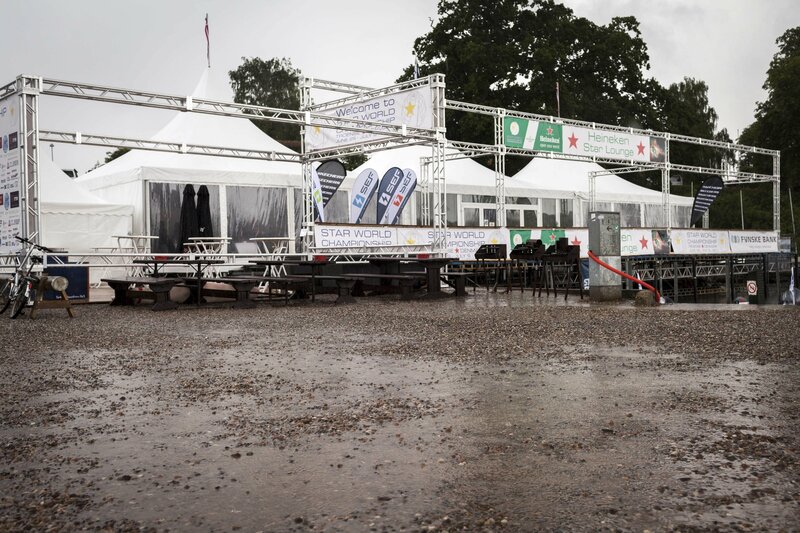 Because of the weather situation with heavy winds, the Race management decided to cancel all racing for today. 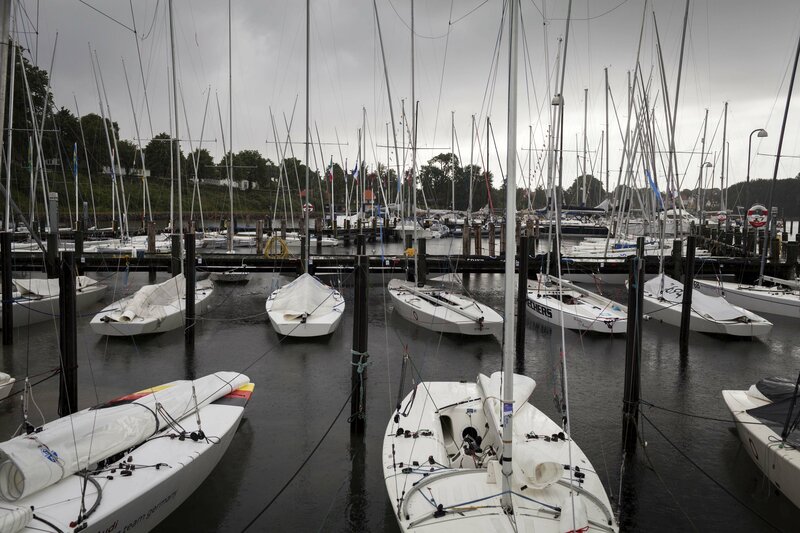 Heavy winds and rain, gave the sailors a well deserved break after yesterday’s tough sailing conditions with broken masts and spoiled sails ad libitum. For many sailors, this unexpected break was a good opportunity “to heal the injured boats”. The Event Manager Torsten Jacobsen took the opportunity to “break the bank” and pick up the VM Trophy for a photo session. Meanwhile the sailors enjoyed themselves in the after sail party of the day in Race Village.